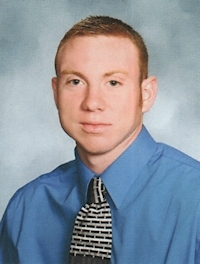 Obituary – Greene, Shane Lester « Perry High School Alumni Association, Inc.
Shane Lester Greene was born April 13, 1989 in Stillwater, Oklahoma to Lester and Deanna Bryant Greene. He passed away, Saturday, September 13, 2014 in Perry, Oklahoma at the age of 25 years old, doing what he loved, riding bulls. Shane graduated from Perry High School in 2008. He attended votech and was cleet certified. 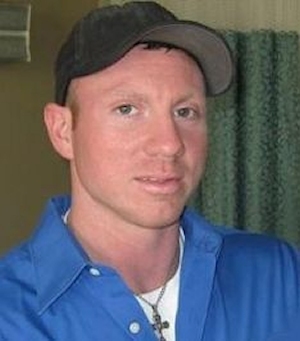 Shane was currently employed by FedEx as a delivery driver and also helped his dad in the masonry trade. He formerly worked as security guard at the 7Clans Lil Bit 2 Casino and for the City of Perrys electric department. He was full of life and loved God. Shane never slowed down and was continuously on the go. Whether it be playing with his nieces and nephews, lifting weights, fixing his truck, going hunting and fishing, riding his four wheeler or shooting his guns, he enjoyed life to the fullest. But most of all, Shane was a bull rider at heart. He leaves behind his parents, Les and Deanna Greene of Stillwater one brother, Chad Greene of Glencoe four sisters, Kari James and her husband, Scott, of Perry, Holly Mitchell and her husband, Colby, of Morrison, Misty Greene of Stillwater, and Jill Greene of Morrison nieces and nephews: Hunter, Cutter, Savannah, Mya, Ava, Colton, and Mason maternal grandparents, Lloyd and Leslie Collins of Bernice paternal grandmother, Toni Greene of Morrison and cousins, Brandy Houska and Jamie Pollard. He was preceded in death by one sister, Heidi Ann Greene paternal grandfather, Ben Greene and one aunt, Terry Pollard. Funeral services will be 2pm, Wednesday, September 17th, 2014 at The Event Center at Perry, 424 7th St. with Monty Stueve officiating. Interment will follow in Grace Hill Cemetery in Perry, Oklahoma. Memorials may be made to Exchange Bank in memory of Shane.